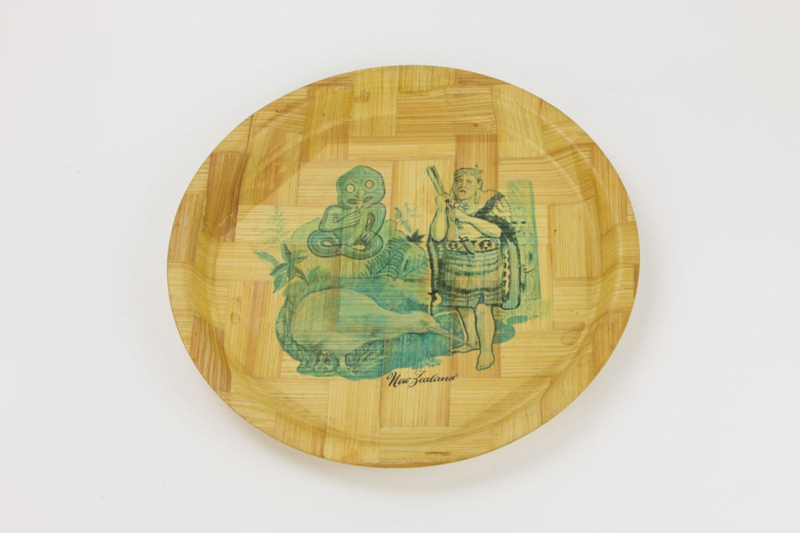 Circular bamboo plate with colour transfer image of a Maori warrior, kiwi and tiki on the front and the text "New Zealand" below. On the reverse is a large text panel about New Zealand and the subjects in the image. 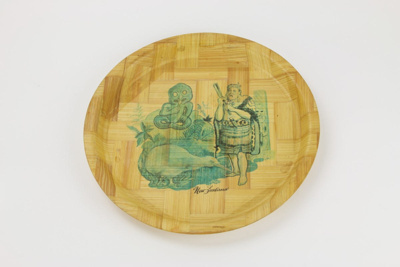 Larger of the two examples in the collection.